One of the hardest water sports is now officially kite surfing. I love all water sports and I have practically tried them all, but kite surfing is definitely one of the more difficult sports! 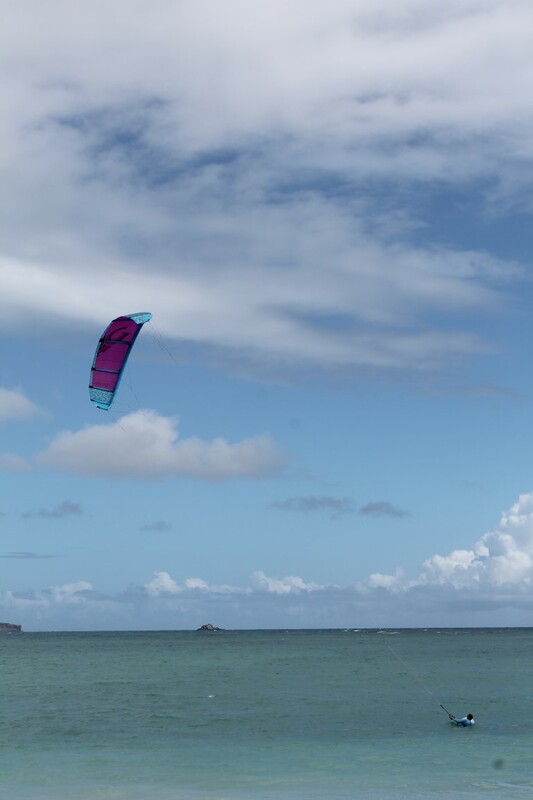 I’ve always wanted to try kite surfing and I finally had the opportunity to take a 3 hour kite surfing lesson in Kailua with Endless Adventures Hawaii. 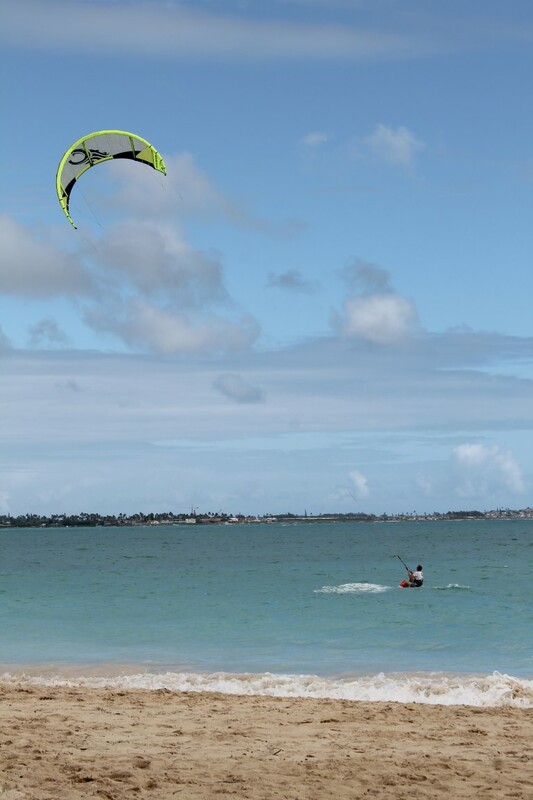 Before trying kite surfing, I thought it would be like most other water sports I’ve tried…fairly easy for me. I was wrong. I didn’t expect to struggle as much as I did. My instructor was extremely encouraging and patient with me as I became frustrated that I didn’t catch on as quickly as I expected. I continued to push myself out of my comfort zone enough though I felt like a failure. My instructor kept reassuring me that I was doing great, but I felt completely out of my limit. I don’t know what I would have done without my instructor, he was amazing! He helped me feel confident even when I felt there was no hope for me ever learning how to kite surf. 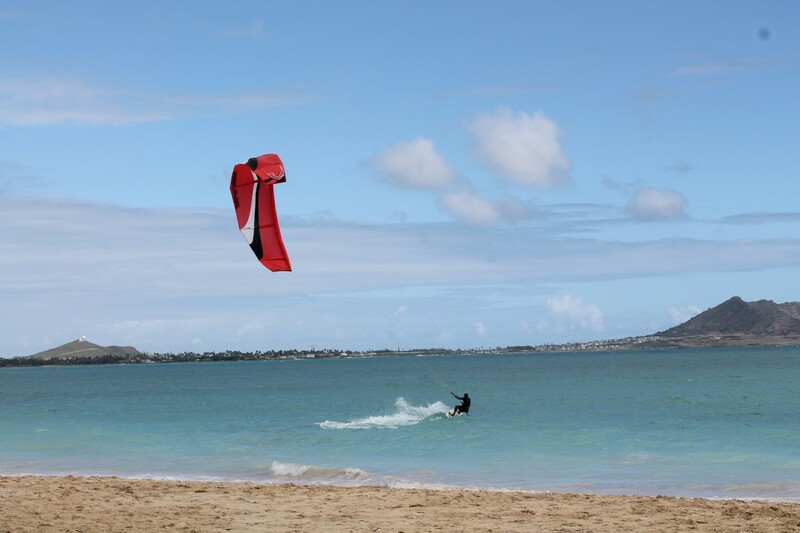 My lesson began in Kailua at Kailua Beach Park, the only beach on the entire island of Oahu with a section of the beach dedicated to kite surfers for kite release and landing. 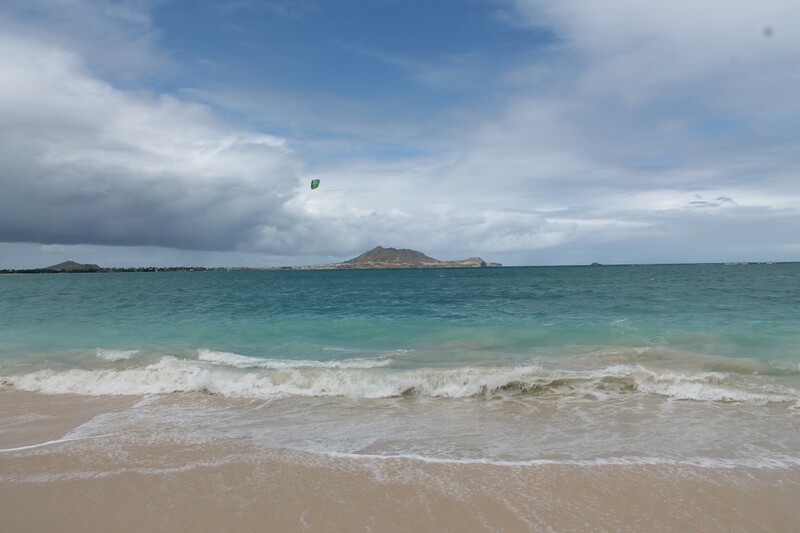 Kailua beach is a great spot for beginners with trade winds blowing year round. Before even flying the kite or getting into the water, my beginner lesson started with getting geared up with the appropriate harness and kite. From the beach, my knowledgeable instructor provided me with an introduction to the sport, the functions of the equipment, a lesson on wind awareness, rigging the kite, safety releases, and preparing the kite for flight. After learning the basics, I learned the fundamentals of flying a kite and then proceeded to the beach to practice flying the kite. It looks easier than it is. I didn’t expect it to be so difficult. The professionals in the water make it look so easy. After numerous unsuccessful attempts at flying the kite, I finally thought I was getting the hang of it. There were moments when I thought I was in control of the kite (and flying the kite like a professional). Those moments were fleeting when my kite would come crashing down from the sky into the water or onto the beach. I wanted to give up so many times. My instructor encouraged me to try and try again. There was a point when I felt my kite wouldn’t stop falling from the sky. However, I didn’t give up, and I started to learn how to keep the kite in the sky. After I felt somewhat confident with my kite flying abilities we moved into the water to learn how to let the kite body drag me upwind. The instructor demonstrated the body drag concept while I held onto his harness. I was shocked to feel how fast a kite could pull the both of us across the water’s surface. I was given a thrill when waves splashed in may face as we moved rapidly across the water from one end of the beach and back. My turn to try. With the wind violently pulling the kite, I needed to keep my head above the water (trying not to swallow any) while controlling the kite and moving it quickly from left to right to pull us ahead. It was difficult, but exhilarating at the same time. Now I know why kite surfing is considered an extreme water sport. Controlling a kite in extreme winds is an art. Kite surfers can move across the water at speeds upwards of 100kmph. Unfortunately, my day came to an end when the winds calmed down. 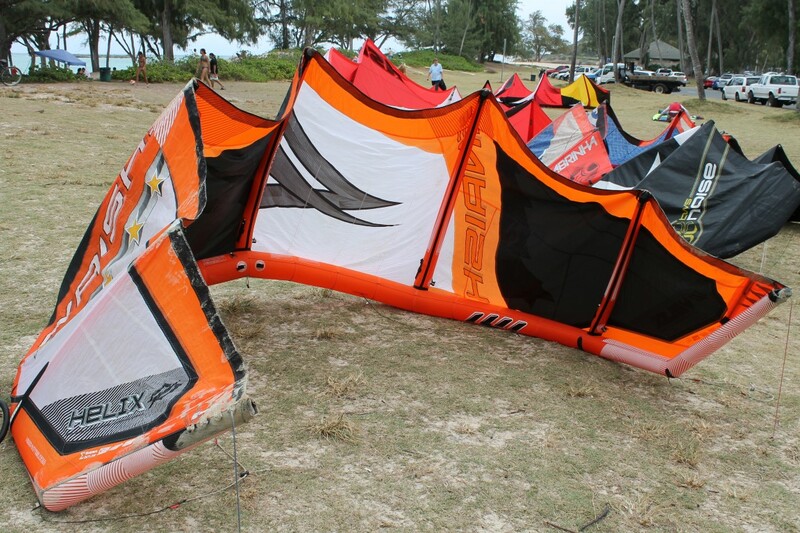 Although it appeared to me that it was still “windy”, there was not enough wind to continue kite surfing. I don’t think wind surfing is the perfect water sport for me, but I am glad I tried it. I couldn’t have had a better experience. Endless Adventures Hawaii showed me why they are passionate about the sport and helped me push through the lesson even when I wanted to give up! 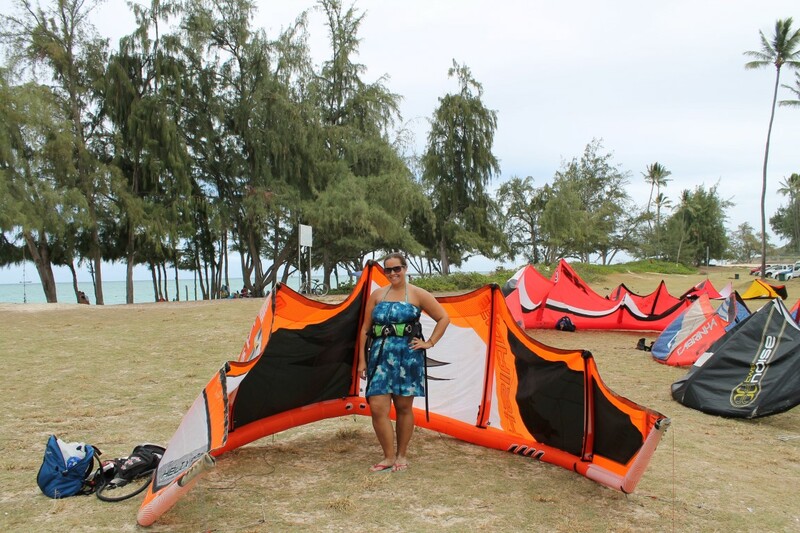 Thank you Endless Adventures Hawaii–you helped make my Oahu, Hawaii experience a positive one! I have memories I will never forget. This entry was posted in Bucket List, Hawaii, Lifestyle, Reviews, travel, Turquoise Travel, USA and tagged adventure, bucketlist, Endless Adventures Hawaii LLC, experiences, Hawaii, Kailua, Oahu, Travel, Turquoise Compass, USA by Turquoise Compass. Bookmark the permalink. I spent 4 days wrestling with a windsurfer (board not person) once off a small island in Tunisia – hardest work I’ve ever done! So you know exactly what I am talking about. It was incredibly difficult, but I am really proud that I fallowed through with trying (and didn’t give up half way through the lesson). If I wore a hat, I’d take it off to you – how’s that? haha thanks for the hat solute! I don’t feel I deserve it…I don’t know how successful I was! more than me I can assure you – I was dreadful. But it entertained the local kids who sat there watching me from the beach, I remember that! haha that’s how I felt! When my kite came crashing down the beach, the people laying on the beach went running! Oh well, it was an experience to remember! I envy you! Like you, that is one sport I have always wanted to try but never have. I figure their was a lot to learn on just ‘flying a kite’ so it just doesn’t drag you up the beach. But it sure looks fun when you can get some air from soaring over some waves. I’ve always wanted to try it as well and I finally had my chance in Hawaii. You will get the chance someday. In what destination do you think you would like to try it? There is a ton to learn! Fighting the urge to just let the kite drag me up the beach was a constant struggle! You should do it! I would love to read about your experience doing it. Late spring would be a great time to try! If I happen to make it that way we can do it together! That sounds like a lot of fun and work! You’re welcome to take the winds in the northeast to Hawaii, I’m sick of the gusty winds for flying but you could use them for flying the kite! It was a lot of fun…and a lot of work! The winds are no fun when flying a plane that is for sure. My boyfriend has had his fair share of battles in the wind. When he is teaching a student sometimes they have to end their day short due to wind! Dang those things are big! Kudos to you lady! Yeah, that’s how I felt when I saw the kit up close! They don’t actually look that big when they are in the sky! Hey Jessica ~ Sure looks like fun – will definitely try it next summer! Awesome, glad to know you are willing to try! This was the hardest thing I have ever tried! I want to do it again! I need practice! I wasn’t very good.